Escape to one of the top dive resorts in Palau at The COVE. The waterfront resort offers easy access to the most exciting things to do in Palau, as well as the best Palau dive operators, Rock Islands, shopping, hiking, zip lining and other adventures. Stay within walking distance of top attractions and enjoy a swim in the largest lagoon swimming pool in Palau while sipping cocktails from the Hungry Marlin, onsite at the resort. Explore the top ten things to do below on your next vacation to Palau. The Rock Islands consist of 445 uninhabited limestone islands of volcanic origin. A large diversity of plants, birds and marine life, including at least 13 species of shark, live here. 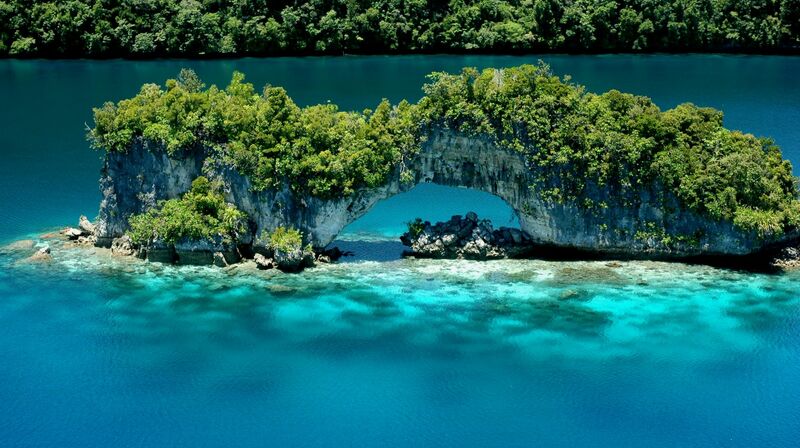 Palau diving is known as some of the best in the world. Luckily for guests at COVE Resort Palau, the hotel is within walking distance of some of Palau's main dive tour operators: NECO Marine Tours, Sam's Tours and Impac Tours. Dive groups of 10-15 can be arranged. Tour the Rock Islands by kayak and explore one of the most pristine marine ecosystems in the world. Sea kayaking is one of the best ways to experience the bountiful marine life that surrounds Palau. 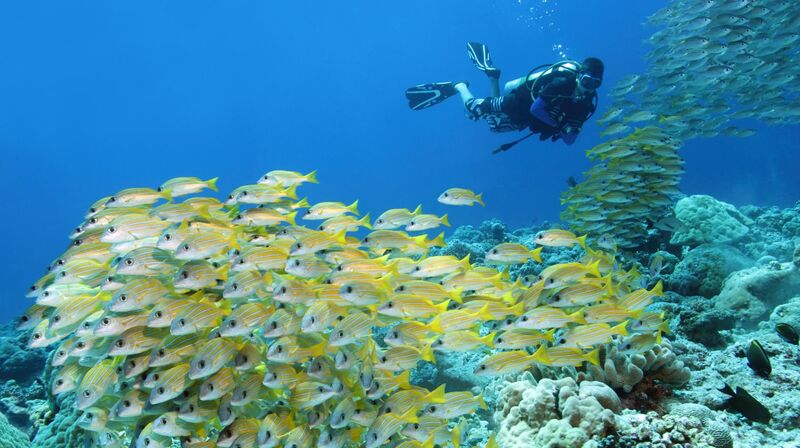 Explore rich, diverse ecosystem of reefs, surrounded by secluded coves, marine lakes, and even sunken World War II relics. 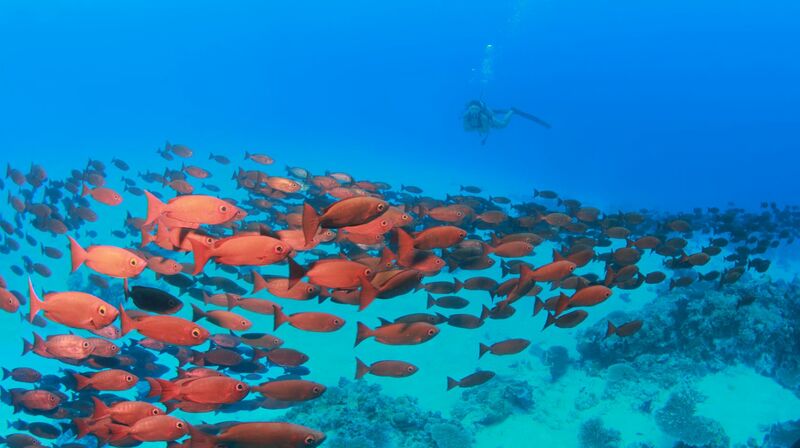 Snorkeling in Palau is available via a number of licensed tour operators and gear rental outposts. Palau is home to Belau National Museum, the oldest museum in Micronesia, where you can learn about the unique heritage of the nation. You can learn more about the culture at the Etpison Museum, offering two floors of Palauan and Micronesian artifacts, displays and photography. Palau's turquoise waters are teeming with big jacks, Spanish mackerel, or the ultimate game fish, gigantic Marlin. Head out on a deep sea fishing charter with an experienced guide -- you're sure to reel in something impressive! Try what has been called the longest zip line in the world at Palau Eco Theme Park. It's a great family-friendly opportunity for fun and adventure, and it's easily accessible from COVE Resort Palau. Head to Ngardmau Falls (also known as "Taki Falls") to see beautiful rainbows, shrouded in mist. Stand beneath the falls -- which plummet 100-plus feet -- to experience the sheer power of Palau's natural environment. This small island is the site of the Battle of Peleliu in World War II. Today, Peleliu is currently home to Peleliu Battlefield, a U.S. National Register of Historic Places Landmark. You can also view a number of old shipwrecks in the shallow waters just off the island's coast. Angaur is another small island and another battlefield site in World War II. The island is currently populated by just more than 100 residents, making it a scenic and calming place to visit.